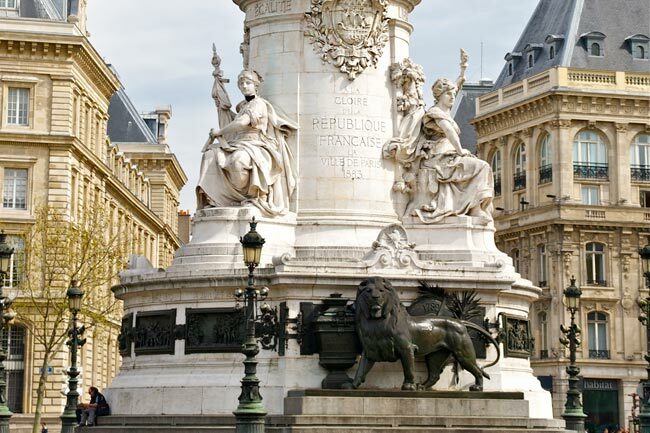 The veritable heart of the city, Place de la République is a very lively and popular neighbourhood of Paris. 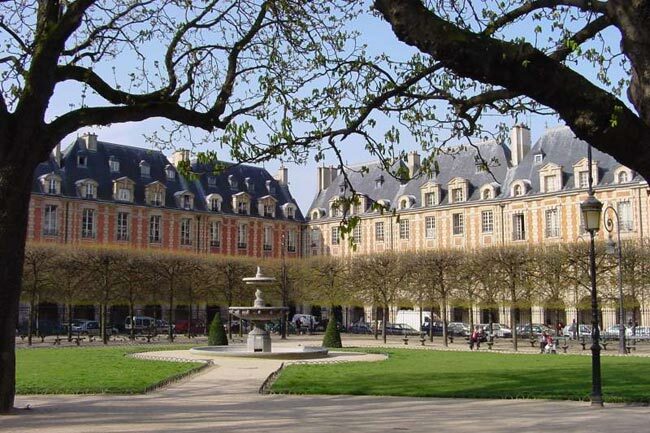 It is also one of the largest Paris squares (280m x 120m, 3.6 ha), created in the 19th century. 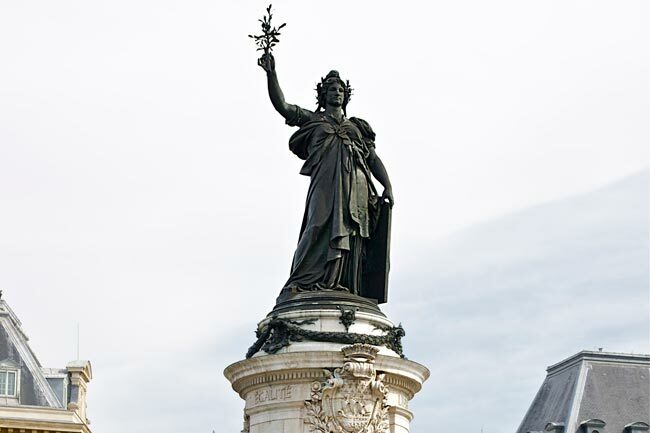 At its centre is the 9.5 metre bronze Statue de la République, inaugurated in 1883. Standing on a 15.5 metre pedestal, it is a monument in the capital to the glory of the Republic. The Square was given its present name only in 1889. Three large stone statues on the pedestal represent: Liberty, holding broken chains and brandishing a torch; Equality) holding the tricolour flag and a levelling square; and Fraternity surrounded by agricultural symbols and children reading. A 3 metre-high green bronze lion, lying at the foot of the monument in front of an urn, symbolises universal suffrage. The redevelopment of the Place de la République in 2013: At the foot of the Statue de la République, a pedestrian esplanade. - to turn it into a space that was pleasant to live and move around in. The Place de la République redevelopment project was launched during the first public meeting on 15 December 2008. The Conservatoire des Arts et Métiers (Conservatory of Arts and Crafts), founded in 1794, was originally set up to train technicians and engineers. The very large architectural complex was given to the Conservatory in 1798. The first collections were assembled at the initiative of the French mechanic, Jacques de Vaucanson. In order to encourage the dissemination of technical knowledge, which had previous been the reserve of an elite and disseminated via corporations and trades, the French Revolution sought to make the scientific and technical collections available to all citizens. Following the example of the National Natural History Museum, formed out of the former Jardin du Roi (the King’s Garden), the Conservatoire des Arts et Métiers amalgamated aristocrats’ collections of physics-related objects and those of the former Académie royale des sciences (Royal Academy of Sciences). The museums galleries opened their doors in May 1802. The permanent exhibition of the Musée des Arts et Métiers (Museum of Arts and Crafts) is organised in seven thematic collections. - The Caveau de la République: The Caveau means laughter and satire! - The Winter Circus, just a few steps from the hotel. You will find acrobats, trapeze artists, tigers, dogs and horses, as well as the clowns and the orchestra of the Bouglione Family's Winter Circus at the oldest circus in the world.